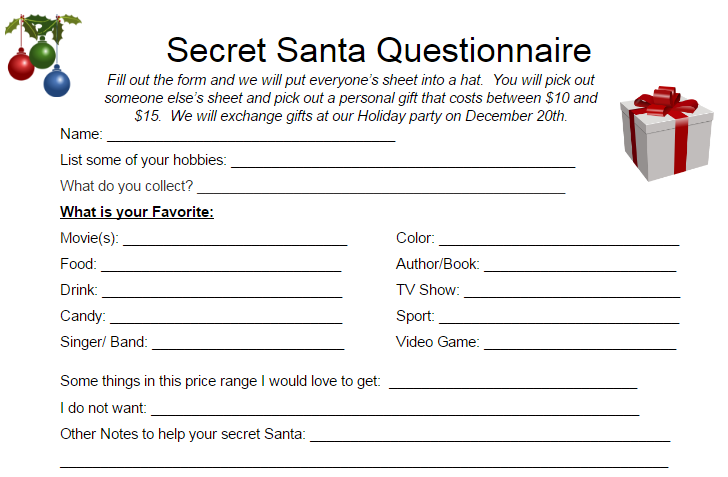 This year, Troop 8 is doing a secret santa for the holiday party. Scouts will fill out a short survey about their hobbies, favorite foods, and media. Then they draw numbers and shop for whoever they get. it is a fun, festive way to celebrate and show your friendship for fellow scouts.